Last weekend Typhoon Haiyan hit the Visayas region of the Philippines. It impacted the northern areas of Cebu, Daanbantayan and Malapascua, an area well known by PATA Executive Board Member, Andrew Jones. For the last year and a half Andrew has been working as an advisor at a resort development (not yet open) in the Daanbantayan area, and Malapascua which is a scuba dive resort island to the north of Cebu Island. Malapascua Island has been almost completely devastated. Andrew who has been on the ground for a few days in the area already, has worked tirelessly with local resort management teams, employees and a local NGO organizing the shipment of some initial relief supplies, food and water to the communities affected. After the initial report from Andrew on the desperate need for humanitarian relief, the PATA Foundation agreed in the late hours of Tuesday, November 12 to send an initial amount of US$10,000 to the MARIQUITA SALIMBANGON YEUNG CHARITABLE FOUNDATION (MSY). MSY is a local and well respected NGO which Andrew had the pleasure of working with in the past. Andrew will be on the ground assisting MSY and resort employees for the remainder of this week to ensure that the PATA Foundation donation is made to good use and allocated to the most needy. We have been extremely pleased and encouraged by the initial support received from our chapters, members and supporters. As of Wednesday, November 13, at 14:00 hrs Bangkok time, a total of US$4,320 has been donated/committed towards the disaster relief fund. Our Japan, Thailand, Macau and Sweden Chapters have all join in. Several individual donors gave generously. In the last few hours, we have also received a message from the PATA Laos Chapter indicating that they are planning some fundraising activities of their own. The PATA Foundation Board of Trustees has agreed that the next rounds of donations received will be consolidated at the end of the campaign. Disbursement will go towards tourism recovery projects, to be determined at a later stage. 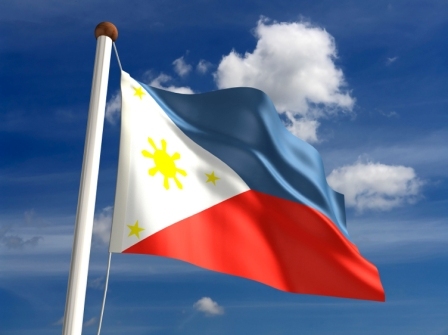 We are thankful for the people who are flying the Filipino Flag on their social network pages as a sign of respect and support. Please continue to spread the word and encourage your chapters, industry colleagues and communities to join us in our collective effort to support the people of the Philippines.